Rockabilly legend Danny B. Harvey of Lonesome Spurs, Rockats and The Head Cat fame will play a special homecoming/Christmas show at Keyboard Galleria Music Center’s Stage Door in Santa Clarita on Tuesday night starting at 6 p.m.
It’s a homecoming because Danny B. is a former guitar teacher at the Galleria. Originally from Killeen, Texas, he grew up there and in Kentucky, where he first picked up the guitar, teaching himself how to play by listening to other local players, and to the classics by local hero Merle Travis. Harvey’s family moved to Canyon Country when he was 15, and received his first formal lessons from the legendary Joe Pass. At 17, Harvey was accepted by USC on a full scholarship to study classical guitar with another legend, Pepe Romero. A couple years later, Harvey moved to England to further his career, and has been bi-continental ever since. 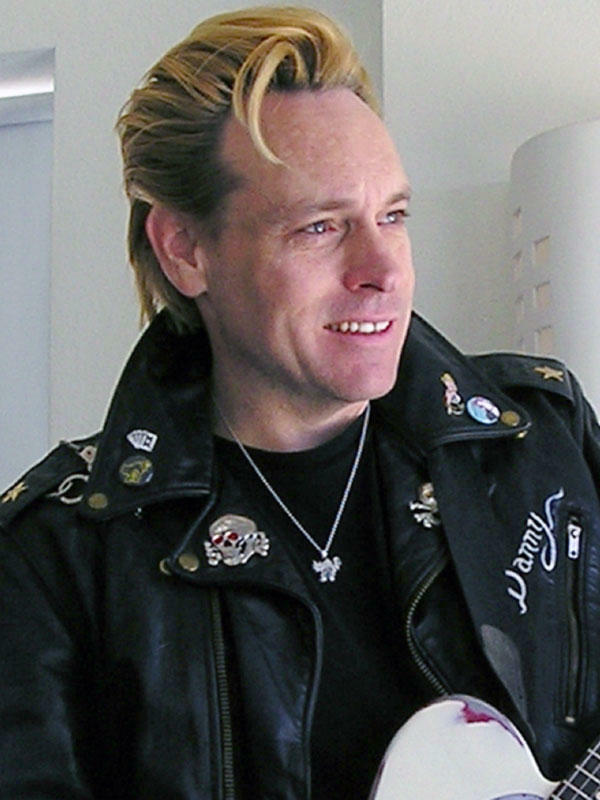 In his 30-plus-years as a musician, he’s performed onstage and on record with a who’s-who of rockabilly and rock ‘n’ roll stars, including Levi Dexter, Gary Twinn, Mark Laff, Tim Polecat, Smutty Smith, Slim Jim Phantom, Lee Rocker, Brian Setzer, Jamie James (The Kingbees), Jeff “Skunk” Baxter, Wanda Jackson (“The Rockabilly Queen”), Clem Burke, Johnny Hallyday, Hal Blaine and Little Steven (Van Zandt). Harvey’s performed in the groups Levi Dexter & The Rip Chords, The Rockats (AKA The Secret Hearts), The Twenty Flight Rockers, 13 Cats, Big Rig Jacknife, Lonesome Spurs and The Swing Cats (with Phantom and Rocker from The Stray Cats). Since 2000, he’s been a member of The Head Cat (with Phantom on bass and Lemmy Kilmister of Motorhead on vocals). The trio has a CD and DVD to its credit. Now based in Austin, Texas, Harvey will perform solo and with violinist extraordinaire Jennifer Argenti at Keyboard Galleria’s Stage Door, and there’ll be a question and answer period after the show. Admission is $10 or $7 plus a can of food for the SCV Food Pantry. Tickets are on sale now at www.keyboardgalleria.com. Call 661-259-5397 or visit the KGMC website for more info about the show, and visit Harvey’s website for lots more info about his colorful career. Find Keyboard Galleria at 21515 Soledad Canyon Road, Saugus 91350, across the street from Mountasia.